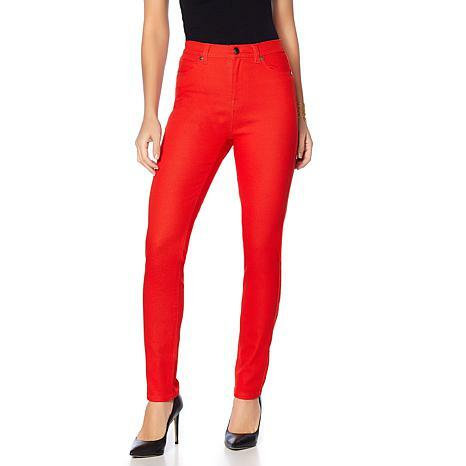 Give your booty and confidence a boost with these revolutionary jeans from DG2. Up-Lifter fit solution technology helps visually lift and shape your backside via a comfortable, waist-to-thigh stretch panel that smoothes your silhouette. This firming layer feels fantastic and eliminates the need for shapewear. 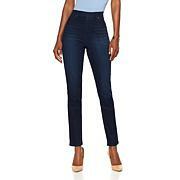 Now that's what we call an uplifting development in denim! The Up-Lifter panel creates a tighter fit. 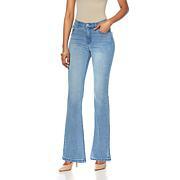 To achieve maximum benefits, please choose your regular jean size when ordering this style. more colors please in the bootcut uplifters!!! Brown, charcoal, olives.. etc... more uplifters!! only ones I buy now! !